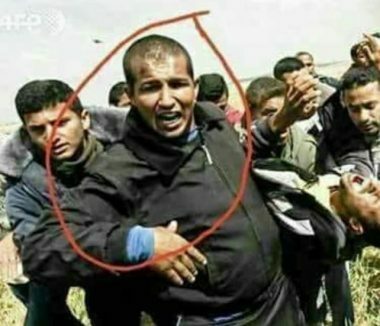 Palestinian medical sources have reported that a young man died, Monday, from serious wounds he suffered last Friday, when Israeli soldiers attacked nonviolent protesters in several parts of the Gaza Strip, killing 17 of them, and wounding hundreds. 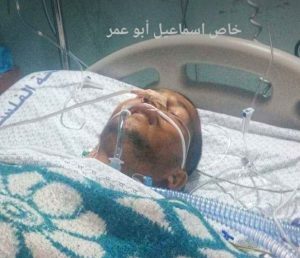 Dr. Ashraf Al-Qedra, spokesperson of the Health Ministry in Gaza, said the Palestinian, Fares Roqab, 29, was shot with a live round in his abdomen, east of Khan Younis, in the southern part of the Gaza Strip. He added that the Palestinian remained in a very critical condition until he died from his wounds despite all efforts to save his life. 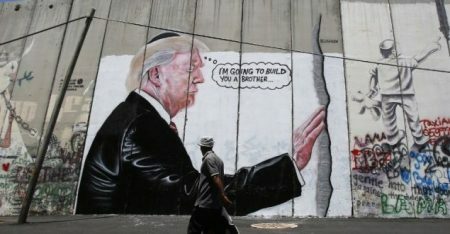 Dr. al-Qedra stated that dozens of wounded Palestinians are still receiving treatment, including some who were shot with the Dumdum expanding bullets. * The main photo by AFP is of Fares while helping in rescuing a wounded Palestinian, before he was shot.